Do you feel intimidated by the task of teaching your child to read? If so, then the LIFEPAC Kindergarten Language Arts Set from Alpha Omega Publications is a great place to start! This comprehensive, homeschool program lays a foundation for language which begins with drills in the basics, then progresses through a systematic presentation of sequential phonics skills. 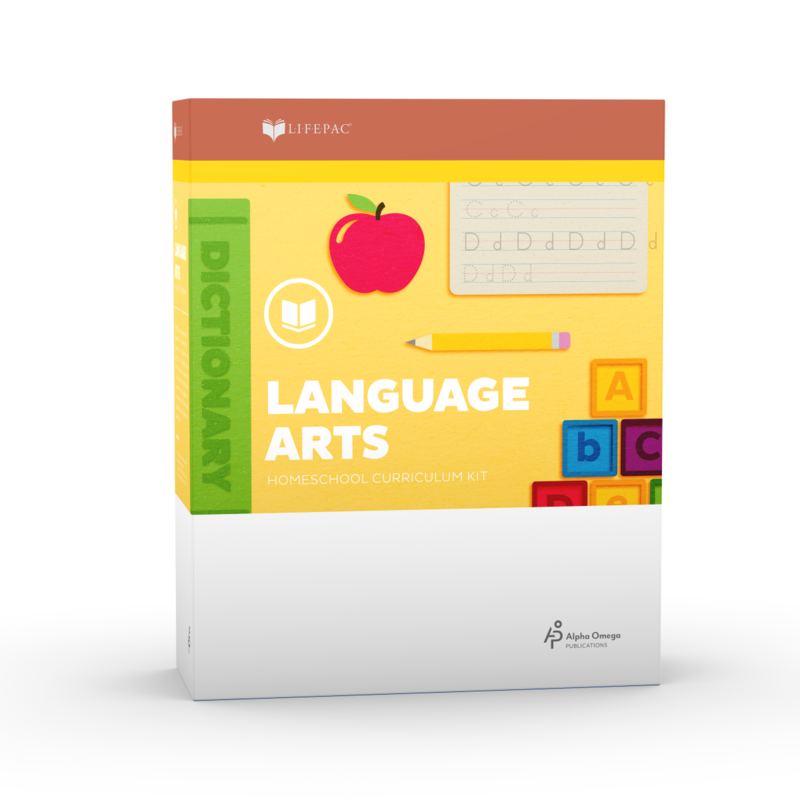 Two large worktexts present the building blocks of language in a colorful, fun format. Alpha Omega curriculum lessons include instruction in beginning phonics: consonants, vowels, consonant digraphs (sh, ch, th, and wh), and blending, as well as colors, shapes, following directions, handwriting, stories, poems, and constructing simple sentences. But we didn't stop there! Because we know just how challenging homeschooling can be, we've included a complete, easy-to-follow teacher's guide, designed to walk you through the teaching process step-by-step. And because our teacher's guide provides in-depth instruction for each lesson and a complete answer key, all the guesswork has been eliminated. We've made it possible to lay a strong language foundation without the worry. Don't leave this important academic stepping stone to chance! Let the LIFEPAC Kindergarten Language Arts Set help you instill a love of learning in your child right from the start! Order today.